1. TUBE FAILURES AT THE TIRE BEAD TOE OF AGRICULTURAL TIRES. The tube is being cut by the tire bead toe during inflation to seat the tire beads. (See figure #1). The tube is being pinched between the tire bead heel and the rim during inflation to seat the tire beads. (See figure #2). Applying a liberal amount of tire mounting lubricant to the (1) rim bead seats, (2) tire beads and (3) tube where it contacts the rim and tire beads will alleviate the problem. Use a vegetable based lubricant diluted 50% with water. It is recommended that natural rubber tubes be lubricated before mounting in addition to the inflate, deflate, reinflate cycle. 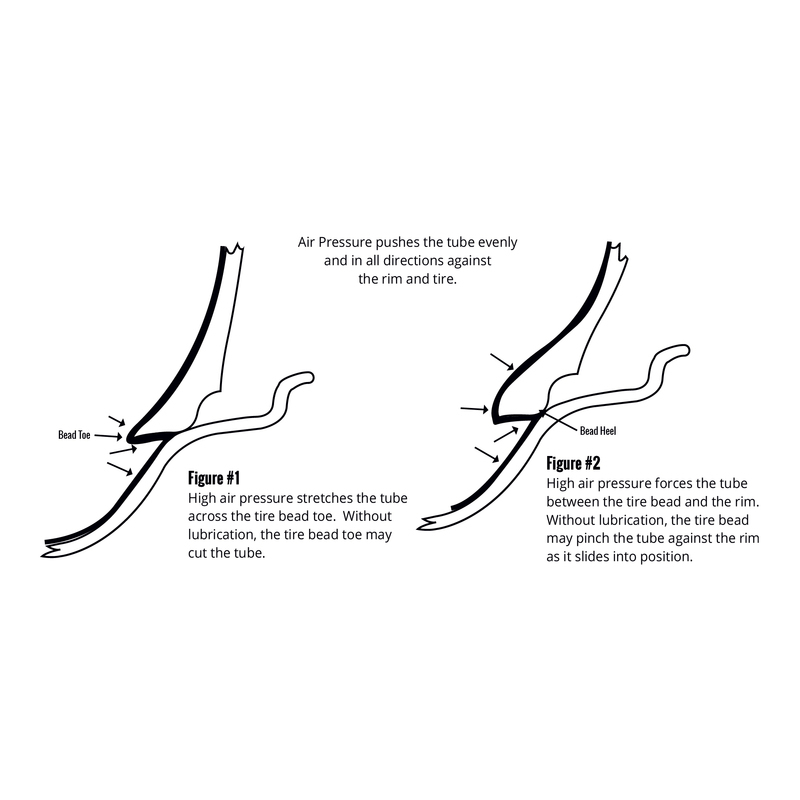 This assures that the tube can adjust to the shape and contour of the tire/rim envelope. As a minimum, the inside (rim side) and the sidewalls should be lightly lubricated with an approved mounting lubricant. An acceptable and easily applied substitute is oil soap available in spray bottles for home use. It can be diluted 50% with tap water. 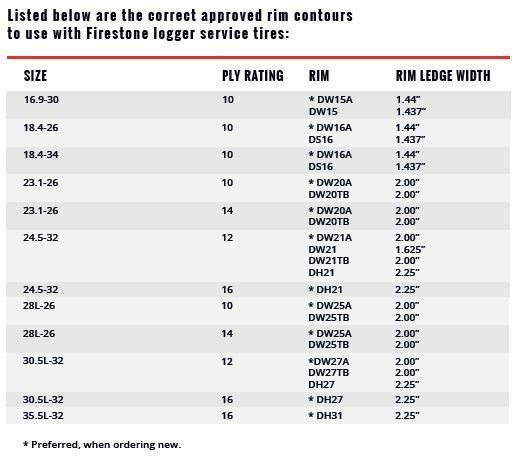 Firestone logger service tires have different bead widths depending on size of tire and ply rating. Rim bead seat ledges must be wide enough to accommodate the entire bead width of a tire for trouble-free service; in some cases, that means a different rim for a particular tire size and ply rating. 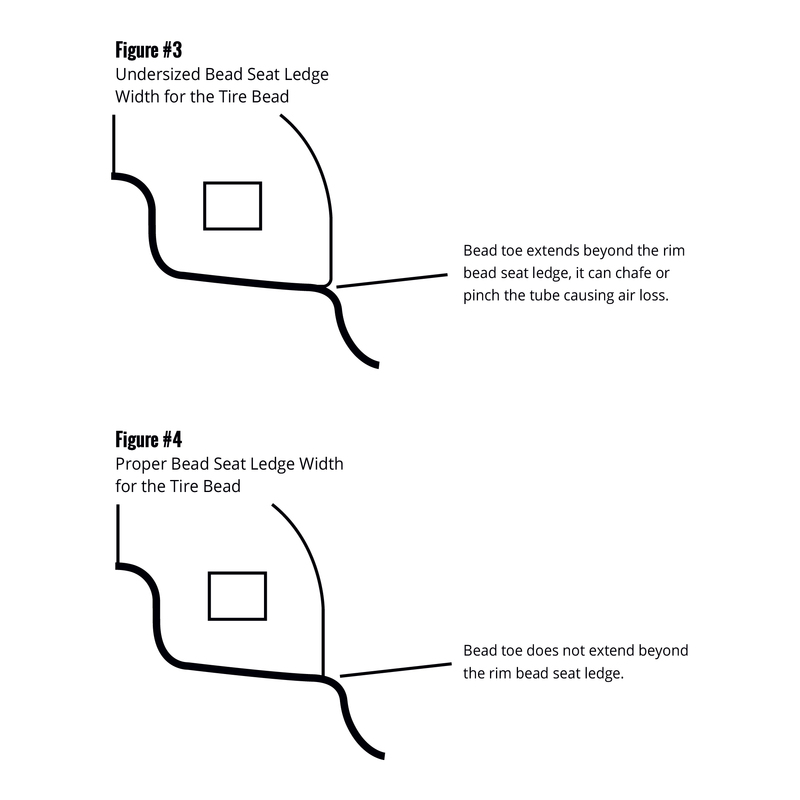 Rims with inadequate bead seat ledge width for the tire bead allow the tire bead toe to extend beyond the rim bead seat ledge, which can chafe the tube leading to air loss, downtime and loss of production (see figures 3 & 4).